[July 22, 2014] As I progressed through the military ranks, I was always both surprised and amazed those senior officers 2 or 3 ranks above me always seemed to ahead of my peers and me. To us it was like they were intellectually superior and were able to predict the future. It turns out that they were like that because they would consistently take the initiative on important matters. This is hardly a trivial issue. Senior leaders are able to be repeatedly proactive on critical matters. This is what sets them apart from everyone else. 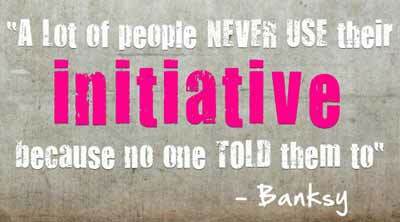 Taking the initiative means two things. First, the leader must have the experience and intellect to recognize that their personal involvement can make a difference. Those decisions they make are the key factors in their success in life and in all they do. Further, those decisions should align with their core values and the organizational mission. This makes it appear that they can foretell the future. To have the desire and passion to take the initiative sets the most successful senior leaders apart from everyone else. Only the best leaders have the foresight, the ability, and the resourcefulness to carry through on their decisions.